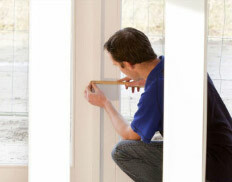 Door jambs play a crucial role in the overal security of a door. They are the vertical part of the frame onto which a door is secured. 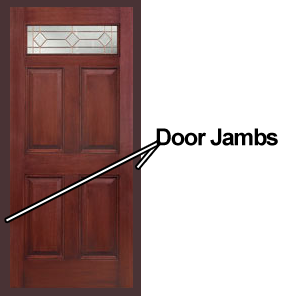 Most door fasteners and deadbolts extend into a recess of a door jamb when engaged. For prehung doors, standard wall constructed with 2 x 4 studs and 1/2" sheetrock on both sides would have a wall thickness of 4 9/16"